Ethan Hunt and Benji Dunn on a covert mission in Vienna. Though Benji wouldn’t have many tasks, all he is needed to do at Vienna State Opera is hacking…! 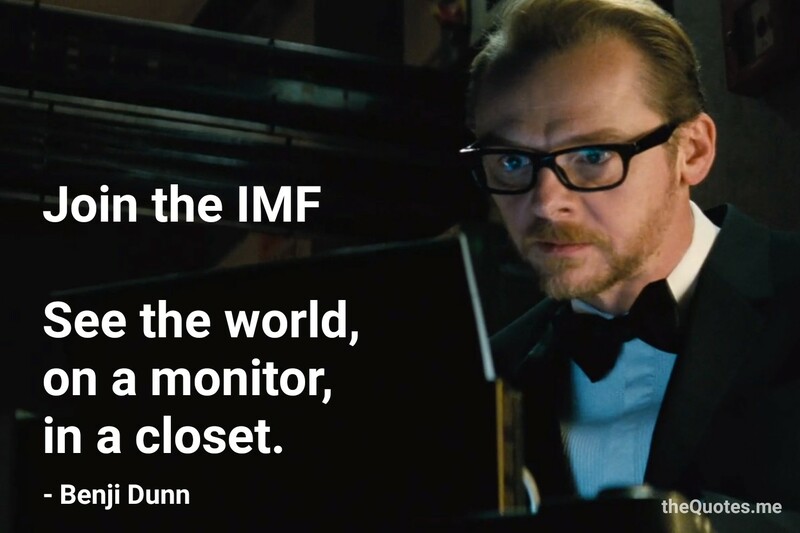 Benji Dunn: Join the IMF. See the world, on a monitor, in a closet. Previous Previous post: Your mission, should you choose to accept it. Next Next post: An Eye for An Eye!